This free online web application allows you to extract phone numbers from other text files. 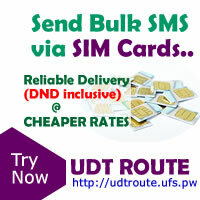 It can intelligently extract, trim and arrange Nigerian GSM numbers in a format that can be readily exported into other mobile or online application. Split phone numbers into groups of specified lengths. Extract Uploaded Files and Web crawler Features. Custom phone number separator options. Screen out INACTIVE GSM from your number database? CLICK HERE !!! DESKTOP & OFFLINE version of Extractor Software? DOWNLOAD Now ! Email Result and SMS notification? This page helps you to separate and extract out phone numbers from texts. It also trims & purify Nigerian GSM numbers. Online marketing just got easier with our free online GSM and phone number extractor tool. It is a all-in-one online application that was written to meet the needs of online marketers and anyone interested in extracting phone numbers from other texts contents. 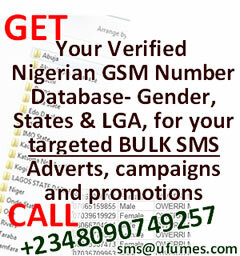 It can extract out both international & local phone numbers from texts. 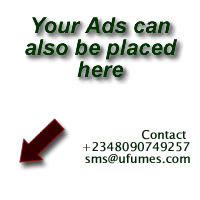 It has an inbuilt intelligent logic that filters out, joins up and trims Nigerian Phone numbers. With this features one dont need to do any other formatings to extracted number since the software already does that. Summarily, www.PhoneNumberExtractor.com, allows you to Extract GSM Numbers from a text file, Generate Phone Numbers in a random or sequential order, Subtract a collection of GSM Numbers from another collection, reformat a group of numbers to have desired prefix and also classify phone numbers into desired groupings. You can perform "Crude Extraction" or "Purified Extraction". Crude extraction allows you to extract any kind of GSM numbers. Purified Extraction allows you to extract and purify Nigerian Numbers. You can generate thousands of GSM numbers with this page provided your desired phone number is more than 7 characters in length. You can initiate a sequential or Random Number generation. This is the count of number you want to generate. You can configure the number to a desired operator-specific phone number by specifying the Prefix. When specifying the prefix, each prefix should be separated by a "COMMA" when no prefix is specified, 4 asterisks are used as the default prefix. This option is only required for sequential number generation. This is the value you want the sequential generator to start from. Ignore the option if the "Random Generation" mode is selected. This page helps you can delete a particular number or some group of numbers from a numbers list. Paste or upload the unwanted numbers in the yellow box and paste or upload the number list in the blue box, then click the "Subtract Phone Number" button. Upload or paste the numbers, Specify the desired count of number in each group, choose your other preference and then click the "Split Numbers into group button"
Do you LIKE this application? We would like to hear from you. Drop your comments, suggestions and questions on our facebook page.